Aristo is a manufacturer and designer of high quality garden torches, candleholders and oil lamps. Aristo offers fresh, versatile garden light designs that are ideal for both urban and country environments, based on long traditions for using torches, oil lamps and candleholders in Denmark the Aristo idea were born. Garden Furniture Spain also have a choice of parasol lights and garden heaters so your garden can be used day or night and all year round. 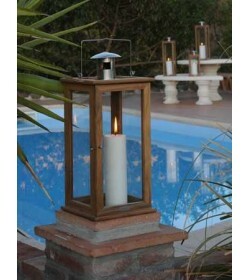 Garden lights Delivered accross Spain, Costa Blanca, costa del sol, and all other areas of mainland spain and islands. Aristo Garden Lights There are 3 products. 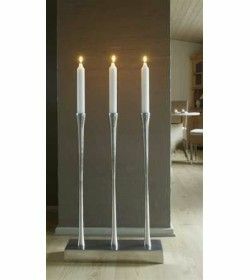 The Washington slimline garden torch from aristo of denmark, unique design made from stainless steel lamp body together with a fibre glass weatherproof wick with black hardwood pole, gives approx 8hr burn time.